I’ve a tendency towards itchy, dry, sensitive skin. In the winter, if I’m not careful, it quickly gets out of control. It’s not just that my chapped hands will remind you of an alligator—the skin can crack and bleed. I’ve tried all kinds of lotions and creams. And if you don’t know the difference between a lotion and a cream—well, in the winter here you want hand cream, not lotion. The thick stuff that you just take a little dab of and spend a minute or two gently massaging into your skin. But using hand cream often during the day is not enough for me. My hands still look reptilian. What really makes a difference is rubber gloves. The often yellow-colored ones you buy at the grocery store for washing dishes. Thought they were just for your grandmother or mother? Guess again. If I don those rubber gloves EVERY TIME I do the dishes in the winter, my hands stay in the realm of dry but not reptilian. But only if I’m using them EVERY TIME. Occasionally doesn’t cut it. I might as well not use them at all. This is a small thing but done consistently it creates the change that I want in my skin. A lot of the things I teach my students are simple things. Some so simple they seem almost insignificant. But I ask them to do them consistently. Because doing those things consistently is about changing habits—changing your routine. 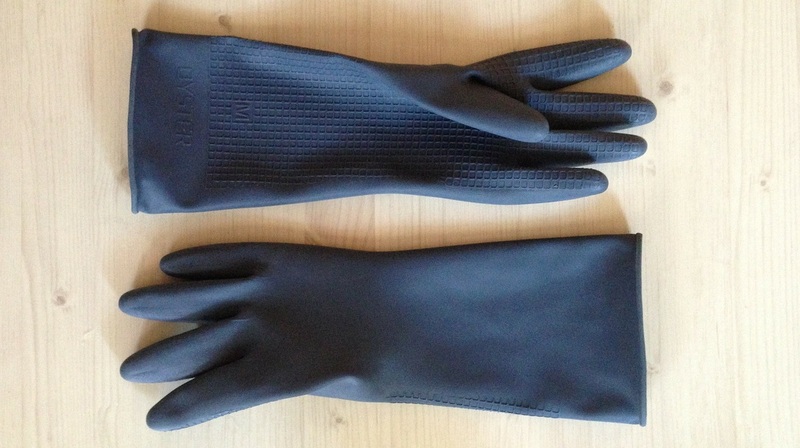 Putting on the rubber gloves—it’s a small thing. Doing it consistently is the hard part. Because it changes my routine around doing the dishes. The Alexander Lie-Down or Constructive Rest is a simple thing. So simple at first glance that you might think it can’t possibly be of any use. But done consistently—daily—over time it can have profound effects. It’s one of the easiest things you can start doing (even without knowing anything about the Alexander Technique) to help reduce excess tension and manage the effects of stress. If you did it every day for 15 minutes over the next month as an experiment, I think you’d be pleased at the results. Your body will certainly thank you for it!